VCGI Winter Webinars: LiDAR and Raster Topics! With technical support from our partners in the Enterprise Geospatial Consortium LiDAR Workgroup (a.k.a. 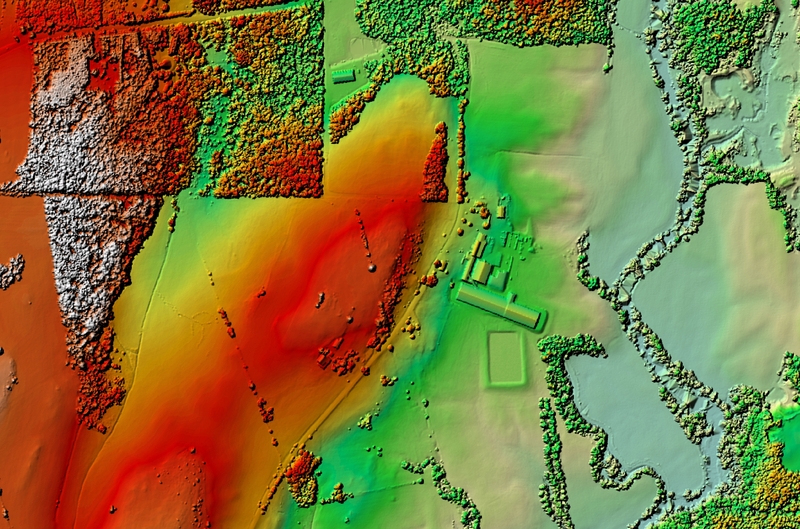 VTeam LiDAR), VCGI is happy to announce the initial offering of LiDAR “derivative data” under the umbrella of the “Vermont LiDAR Initiative” effort. For more information on the effort, the state LiDAR plan, status graphics and other support data please visit the new VCGI LiDAR web page at http://vcgi.vermont.gov/lidar. Current data availability includes 1.4m resolution Digital Surface Models (DSMs) “ElevationOther_DSM1p4m” and Digital Elevation Models (DEMs) “ElevationDEM_DEM1p4m“ covering the Missisquoi subbasin and a majority of Bennington County. 2’ Contours from these areas will be integrated with the existing 2’ contour layer “ElevationOther_CN2T” early in the New Year. See the LiDAR web page for status graphic, project data extents and more. 2) Original project “footprint” extent – as delivered by vendors. Index maps and Index shapefiles are provided in the download data folders to help users find tiles of interest, e.g., “_Index_ElevationDEM_DEM1p4m.pdf” and “_Index_ElevationDEM_DEM.zip”. For a readily available advocacy/information brochure please see the “VT LiDAR Initiative Brochure” on the vcgi.vermont.gov/lidar web page. Addison County Data – Release of the data is still pending QAQC issues with the vendor. No firm delivery date is available. Essex County Data – Missing data tile discovered upon regenerate DEM & DSM from source point cloud has slowed release of this extent. Efforts underway to recover it and move forward. Original vendor delivery only included a 3m resolution DEM/DSM though data supports 1m resolution, thus the recreation effort. IF YOU THINK YOU HAVE THE ORIGINAL “POINT CLOUD” SOURCE DATA FOR 2005 ESSEX COUNTY PLEASE CONTACT ME! Secondary derivative layers: “ElevationOther_ASPECT1p4m”, “ElevationOther_HILSH” (hillshade), “ElevationOther_nDSM” (“normalized” DSM) and “ElevationSlope_SLOPE” raster layers will be made available via the VGIS as time permits in 2014. These are available on the ALL-LDR product for project extents they have been generated for (ATM: Missisquoi subbasin and Bennington County). You are currently browsing the VCGI's Blog blog archives for January, 2014.